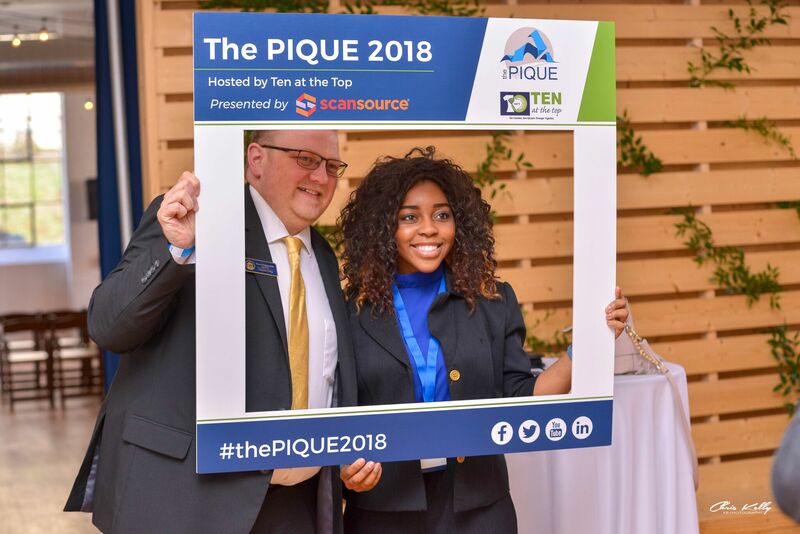 As the millennial generation replaces the boomer generation in the workforce, it is important to give those young professionals their own millennial-style networking groups—and Ten at the Top has created the PIQUE, an annual event for personal and professional development opportunities. 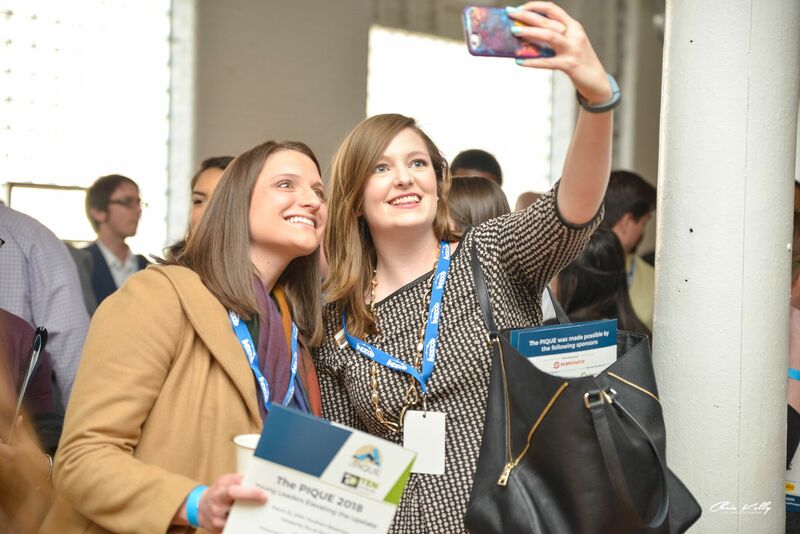 In the spirit of collaboration, the PIQUE brings together existing young professional organizations in the Upstate. Organizations promote the event to members and in return $5 of each ticket sold to a partner organization is given back to help fund their programming and events. 2018 partner young professional organizations include: AFL Young Professionals, Clemson Young Professionals,Connect Young Professionals (Greenwood), PULSE (Greenville), Spartanburg Young Professionals, Young Professionals of Anderson County, and United Way of the Piedmont Young Leaders. 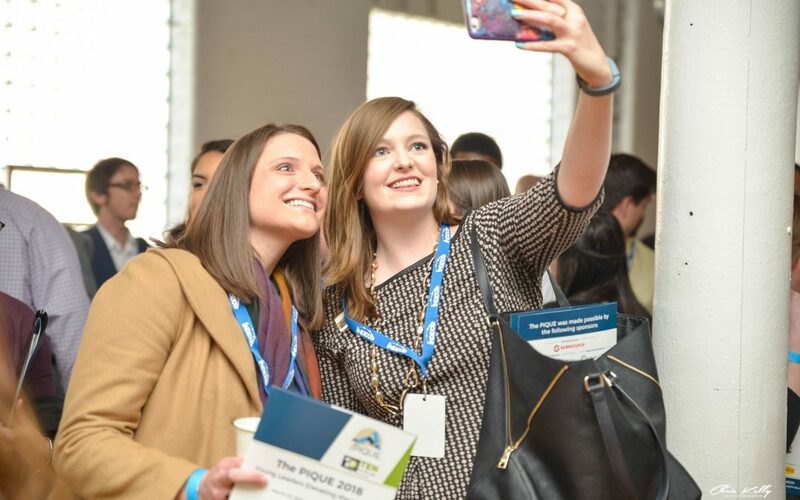 The annual event focuses on the collaboration and connection of young professionals (ages 21-40) in the ten county Upstate. 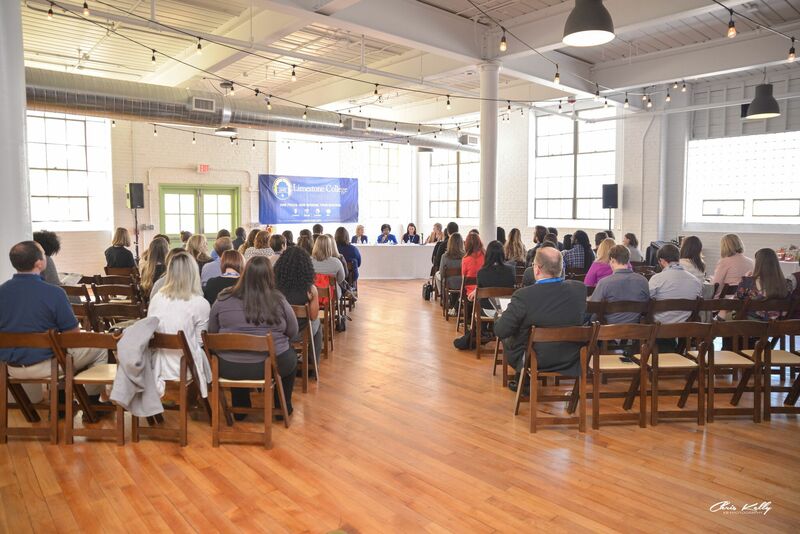 The 2019 event, to be held in the spring at the Greenville One Center in Greenville, will feature four workshops, an opportunity to network with Upstate business and community leaders, a wrap-up panel hosted by the Upstate SC Alliance, and a networking reception. If you represent a young professional organization and would like to become a partner, please contact Adelyn Nottingham (anottingham@tenatthetop.org or 864-283-2313). The event is being held from 1:00 p.m. until 6:30 p.m. on Monday, March 25th at the Greenville One Center (1 N Main St, Greenville, SC 29301). Registration opens in early 2019, so mark your calendars now! Click here for more information. This week, Ten at the Top hosted its annual Celebrating Successes event, in which companies and organizations celebrating milestone anniversaries are recognized, service awards are presented, and Elevate Upstate grant finalists make their presentation and winners are announced. 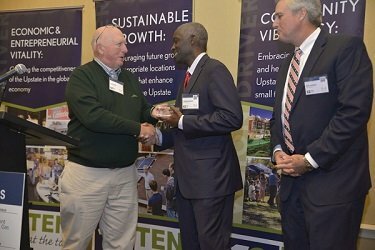 More than 200 people gathered at the Greenville Marriott for the event; attendees included representatives from the milestone organizations and Elevate Upstate finalists, along with Ten at the Top funding partners and other supporters. The Burdette Leadership Award, named for Ten at the Top founding board member Carol Burdette, recognizes a woman in leadership who has made a significant contribution to our region, went to South Carolina state legislator Chandra Dillard, who had previously served for several years on the Greenville City Council. The Welling Award for Regional Collaboration, named for founding board member Irv Welling, went to two other founding board members, Terence Roberts and Rick Danner, mayors of Anderson and Greer, respectively. The two men have supported the collaborative efforts of Ten at the Top since its inception and continue to look outward from their towns to embrace a more regional outlook. Last year was the fifth year in Phil Hughes’ 5-year commitment to fund the Hughes Investment Elevate Upstate Grants, and after last year’s grants were awarded, he committed to another five years. 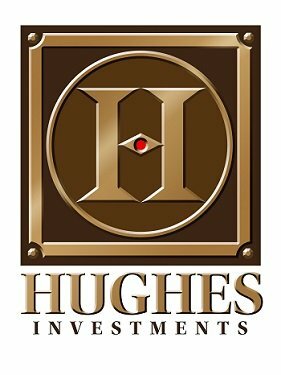 In those five years, 21 grants were awarded for a total of $67,000—exceeding Hughes’ original commitment of $10,000 per year. The two grant winners were Jeff Sumerel (who gave his presentation with the aid of a ventriloquist puppet) and the Charles Townes Art and Technology Experiment, and the Ninety Six Mill Village Neighborhood Association’s Movie Night at the Park—after project coordinator Mary Ann Goodman charmed the audience with her comedic timing in her presentation. The Union Physic Garden was runner up, receiving a $3,000 matching grant. As always, Ten at the Top thanks Phil Hughes and Hughes Investments, the grant finalists, and all of the other applicants for their contributions to community vibrancy all over the Upstate. 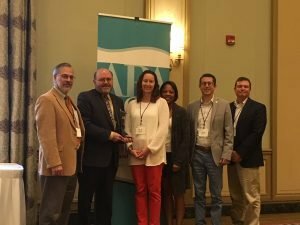 GREENVILLE, S.C.— Ten at the Top was selected as the 2018 Outstanding Planning Advocate by the South Carolina Chapter of the American Planning Association (SCAPA), for having improved quality of life within the state. The award was presented at SCAPA’s Fall Conference held in Greenville, S.C. on November 2. Pictured left to right: Barry Nocks, TATT Founding Board Member; Dean Hybl, TATT Executive Director; Andrea Pietras, SCAPA President; Stephanie Monroe Tillerson, Former Upstate Professional Planners Co-Chair; Michael Forman, Upstate Professional Planners Co-Chair; Phil Lindler, Upstate Professional Planners Co-Chair. The SCAPA Planning Awards recognize those who, through their exceptional efforts, have contributed to the advancement of the art and science of planning in South Carolina. Each of these plans, projects, organizations and individuals acknowledged have furthered the quality of life for the people of South Carolina. The awards offer one of the few opportunities that South Carolina planners and communities have to highlight the virtues of planning and recognize those who contribute to the profession. Since 2012, Ten at the Top has convened the Upstate Professional Planners Group that includes local government as well as private planners from across the region. The group has worked collaboratively on a number of projects, including developing an Upstate Planners Tool Kit, conducting a review of all the county Comprehensive Plans in the region and serving as the technical committee for the Shaping Our Future and Connecting Our Future regional initiatives. 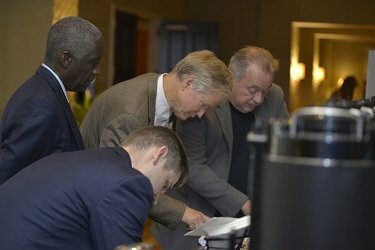 Comprised of public, private and civic leaders from across the ten-county Upstate South Carolina Region, Ten at the Top was created to connect and encourage regional collaboration through data-driven research and regular convening of leaders and citizens to address key issues facing the region. Ten at the Top works with regional partners to foster collaboration and strategic planning to enhance the economic vitality and quality of life for Upstate residents both today and as the region continues to grow.